My boys and I definitely make the most of summer. We have just completed six of seven summer 2017 trips and I swear there's an eighth that I'm forgetting about. It was sad driving away from our amazing family in Iowa today. A few nuggets about today, right now, this moment (it will pay off to read this entire paragraph): It has been almost a month since we've been in our new house. 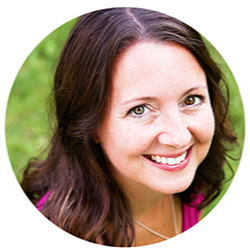 The sickness that has cycled through our family a couple times seems to have dissipated. This has been my least fun week in a long time. I have had to cancel EVERYTHING on our calendar for the entire week to accommodate the intense sickness ransacking our family. I was hit the hardest of all and things seems to crumble a bit when Mama is out of commission. I kept trying to figure out why today felt like Monday and then I realized that it was our Monday. Mondays are our Saturdays and Tuesdays are our Sundays, which would make today Monday! The boys went to daycare, so I got a ton of work done in the morning. I was tired. I desperately wanted a nap. The only thing better than a nap is what I actually ended up doing which was getting a manicure and pedicure courtesy of (and with!) my friend Emily! I have regrets about this year's Super Bowl menu. Not about what was on the menu (because it was quite the delicious spread), but regrets about the actual piece of paper that had all of our recipes written on it. Remember how I told you that Dan is selectively particular about certain things? One of his things is menus. Since the moment I opened my F&W cookbook, this very recipe has been screaming to me. The weather is finally gorgeous, and I mean gorgeous, here in good ol' Minnesota (and yes, the pile of snow still stands, but it is slowly shrinking), so grilling season is in full swing! There is nothing better than coming home from work on a beautiful day and opening our doors..
For the olive-loving one, you really must try this recipe. It is delicious. This tasty, olive-y treat was one of my favorites from Ebby's and my Bloggy Day a few weeks ago. I'm a total sucker for olives. They are one of my all-time favorite foods. As with The Mushroom, I will never understand my husband's dislike for them. It perplexes me. For those of you in my camp, the olive-loving one, you really must try this recipe. It is delicious. Line a baking sheet with aluminum foil and generously coat it with cooking spray. Remove one crust from a 15-oz. package of rolled refrigerator unbaked pie crusts. Unroll the crust into an 11-inch circle and place it onto the greased aluminum foil. Allow it to stand according to package directions. Cook for 5 minutes, or until tender. 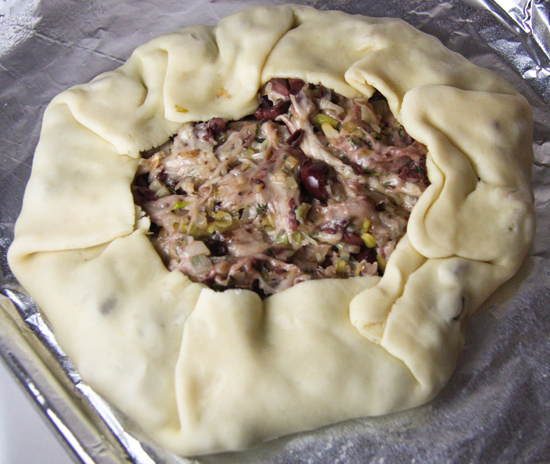 Spread the mixture onto the center of the pastry, leaving the outer 1 1/2 inches uncovered. Fold the uncovered pastry up over the filling. Bake for 30-35 minutes in the preheated oven, or until the crust is golden brown. Cut into 8 wedges and serve warm. For the olive lover out there, this is a must try recipe! Preheat your oven to 375 degrees F. Line a baking sheet with aluminum foil and generously coat it with cooking spray. Remove one crust from package, unroll and cut into an 11 inch circle and place it onto the greased aluminum foil. Allow it to stand according to package directions. In a medium skilet, heat 2 tablespoons of oilve oil over medium heat. 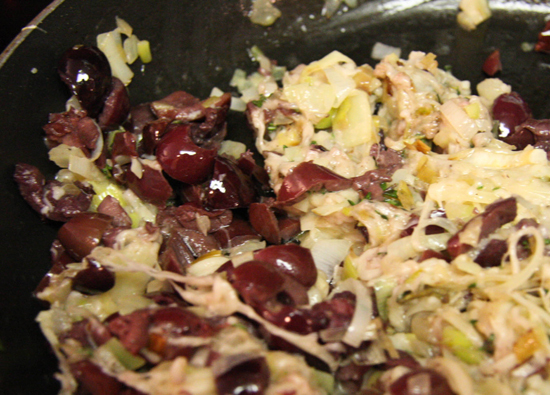 Add to the skillet: 1 cup chopped leek (white parts only) 1/2 cup chopped fennel and cook for 5 minutes, or until tender. Remove the skillet from the heat and stir in: 3/4 cup shredded parmesan cheese, 3/4 cup pitted and chopped Kalamata olives, 1 tablespoons chopped fresh thyme.